Halloween is one of the best Holidays for all of the fun crafty projects you can do. 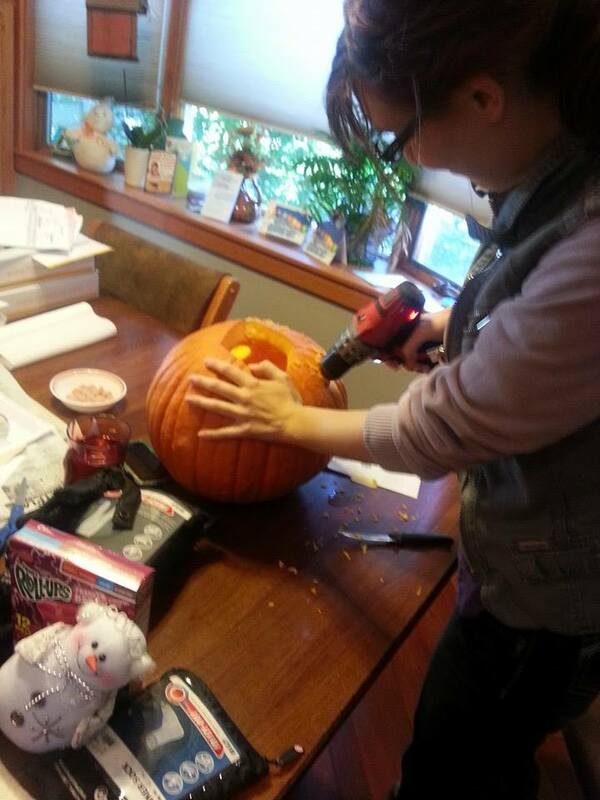 Pumpkin carving has got to be one of my favorite projects and it became even more enjoyable with POWER TOOLS! 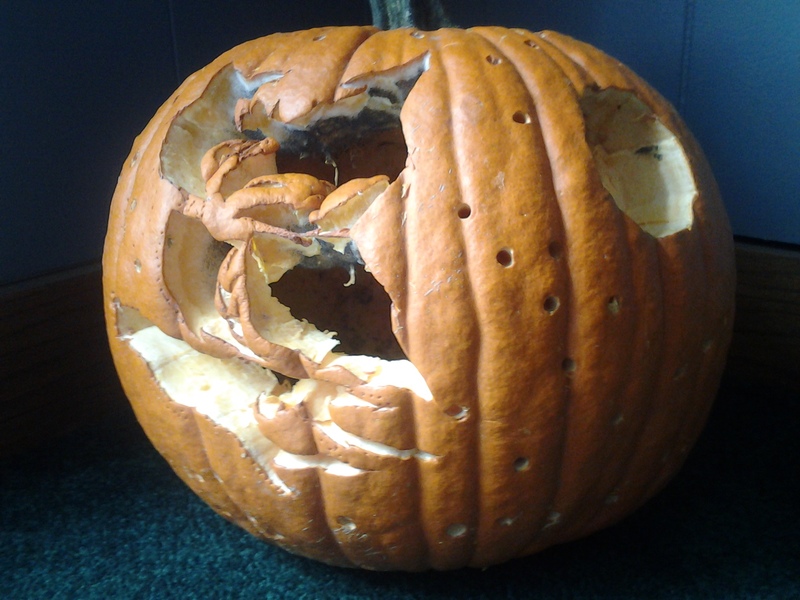 With the help of pinterest I discovered I could use a drill to carve out simple stars in my pumpkin. All you need to do is put the size of drill bit you want in the drill and go bananas. If you would like different sizes of stars, just change the size of the drill bit and wah lah. Reminder: Make sure to clean out the drill and drill bit when done, because you do not want sticky ruined tools. Trust me!